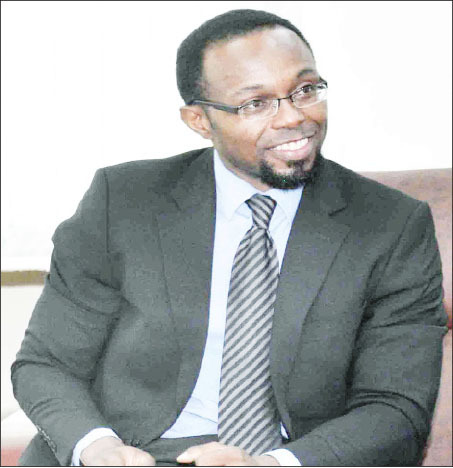 LAGOS – The Federal Government has appointed Dr. Obi Peter Adigwe as the new Director General/CEO for the National Institute for Pharmaceutical Research and Development (NIPRD), Abuja. The appointment which takes immediate effect comes eight months after the expiration of the tenure of the former Director General of NIPRD, Prof. Gamaliel Karniyus. DAILY INDEPENDENT findings revealed that Adigwe’s approval by the Presidency followed his emergence as top scorer in a merit driven rigorous and comprehensive interview processes organised by the federal government few months ago. It was also learnt that the interview had in attendance some of the best brains in Nigerian Pharmaceutical Research and Development sector including, two renowned professors currently working at the NIPRD. Further investigations by DAILY INDEPENDENT showed that Dr. Adigwe scored 80 points and was closely followed by two Professors currently working at the NIPRD who scored 70 and 67 points respectively. The letter of appointment of the new DG which dated August 10, 2018, was signed by the Minister of State for Health, Dr. Osagie Ehanire. Prior to his appointment as DG NIPRD, Dr Adigwe was Executive Secretary of the Pharmaceutical Manufacturers Group (PMGMAN), where he played a key role in the development and implementation of policy initiatives which made considerable impact on the industry. Among his achievements in PMGMAN include the prioritisation of the Pharma Industry in the 2016 Fiscal Policy, and organisation of the landmark 2017 Pharma Expo. He also made significant contributions to the conceptualisation of the internationally renowned Medicines’ Security Concept. Dr Adigwe was also the pioneer Head of the Health Policy Research and Development (HPRD) Unit at the Nigerian National Assembly, where he formulated research and development strategies in Health Policy as well as developed innovative and contextual training, research and capacity building modules. He has a significant number of peer reviewed publications including the first K.A.P. study on Ebola in Nigeria, as well as a seminal paper on Rational Use of Medicines. While in the United Kingdom, he had also co-authored a write-up that influenced an epoch-making health policy reform in the British Parliament. Adigwe has undertaken many National assignments, headed, as well as served on numerous committees and working groups at the highest levels, such as the D8, UN, World Health Organisation, The African Union and the ECOWAS. He has won several academic honours including the prestigious University of Leeds’ GRASS Post-Doctorate award. The letter of appointment reads in part: “I write to inform you that His Excellency, the Acting President of the Federal Republic of Nigeria has approved your appointment as Director General/Chief Executive Officer of the National Institute for Pharmaceutical Research and Development (NIPRD), Idu, Abuja, for a term of four (4) years with effect from August 10, 2018. “It is my expectation that you will not only work to ensure that you drive the research for new pharmaceutical materials, but endeavor to improve on present achievements and leave you mark of progress on that institution. Meanwhile, some keen analysts of the sector in an interview with DAILY INDEPENDENT said they are optimistic that the appointment of Dr. Adigwe will move NIPRD to the next level, where it will become one of the leading agencies that will generate huge revenue for the government.